Metro Manila. 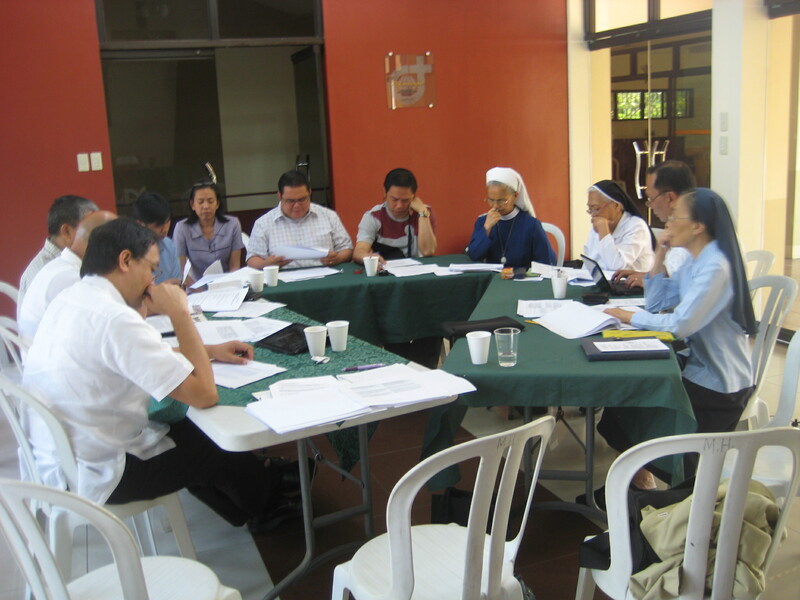 Sr. Emmanuel Gunanto, OSU the subregional coordinator of Southeast Asia recently called for a meeting with all the Filipino CBF-SEA members last April 18 in line with the preparations for the EPA to be held in Arricia, Italy. The meeting was well attended with two bishops: Most Rev. Pablo “Ambo” David, DD the chairman of the Episcopal Commission for the Biblical Apostolate (ECBA) of the Catholic Bishops’Conference of the Philippines (CBCP) and Most Rev. Rene P. Mayugba, DD the vice chairperson. 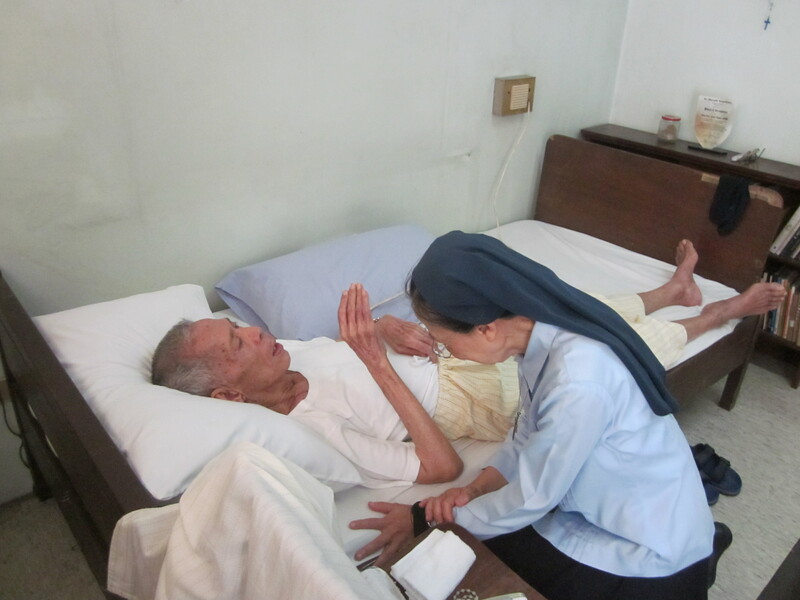 Among those present were: Ms. Estrella C. del Mar of Cebu Lay Formation Center, Fr. 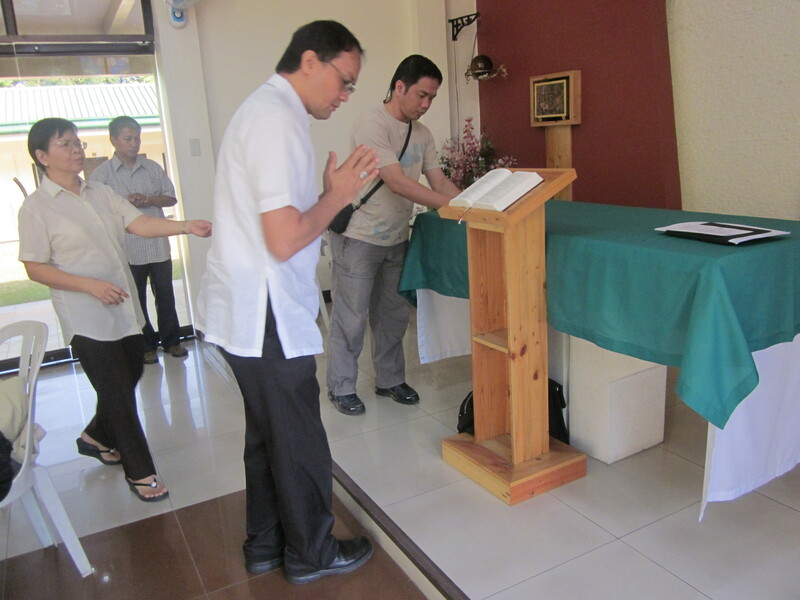 Oscar Alunday, SVD ECBA’s outgoing Executive Secretary, Fr. 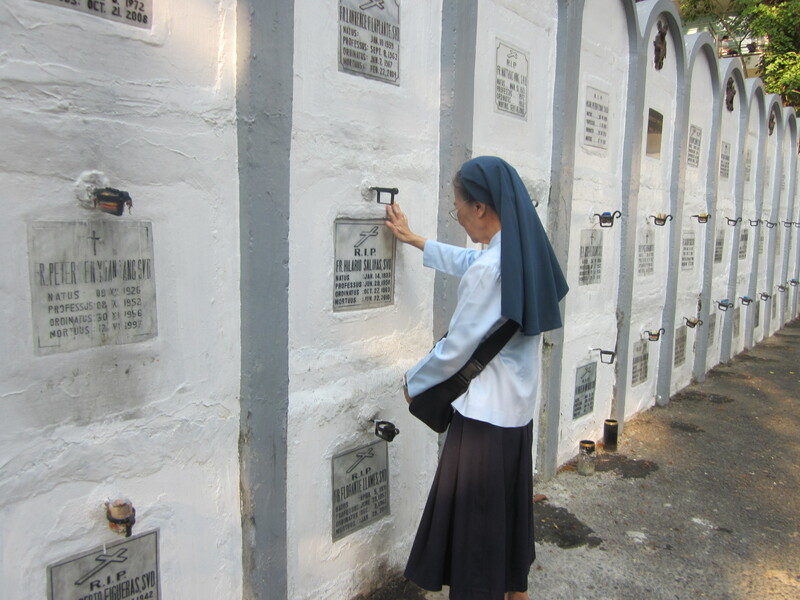 Arthur Leger, SJ of East Asian Pastoral Institute, Sr. Theresine Dingal, SFIC of Constant Jurgens Biblical Center, Sr. Antonia Anas, SIHM of the Congregation of the Immaculate Heart of Mary, Fr. 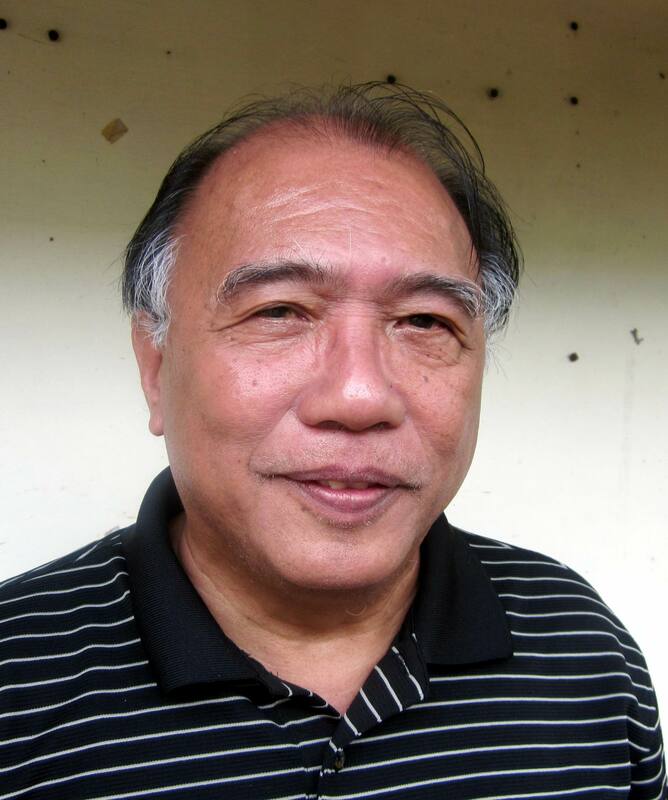 Ruel “Dudz” Lero, SVD of the SVD Southern Province, Fr. Jaime Gealan, SVD of the SVD Northern Province, Fr. Dominador Ramos of the CBF-SEA coordinating team and Mr. Jenaro Christopher Molina of the SVD Central Province. Attendance then was observed to reach 14 adding the presence of Mrs. Lina Cacal and Ms. Tita Azurin who extended their assistance in other concerns of the meeting. The gathering started with a solemn bible enthronement intertwined with a para-liturgical service prepared by Sr. Emma from Bandung. The bible enthronement then led to the introduction and smiley (with fondness) welcoming of the members. Bishop Ambo as we call him with affection, oriented the body about the challenging background of the coming Extraordinary Plenary Assembly. The very colorful unfolding of events then was traced farther than Dar Es Salam towards Bangkok leading to Manila to reach Arricia this coming June. The members filled with hope and faith in the Word, reviewed the developments of the Statutes’ Revision, talked about the intricacies of Regionalization, the confusing development of being a federation or confederation, revisited the road from Stuttgart to St. Ottilien, suggestions, resolutions, talking points and finally the revision of the constitution. The rest will have to be actualized in the EPA at Ariccia. We pray that the Holy Spirit will guide all the delegates to the EPA, many of whom are representing others who could not come. We pray that the outcome of the EPA would be good for all and God’s will for the CBF. 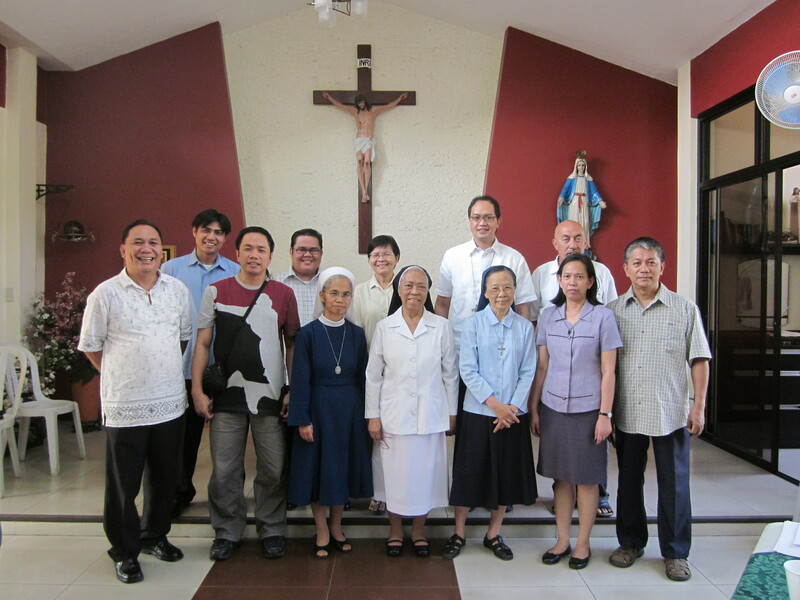 The CBF-SEA Filipino members wish to express their heartfelt gratitude with Sr. Emma Gunanto, OSU to Rev. Fr. Dante Venus, SVD for generously hosting the said meeting. Fr. Dante a strong collaborator and supporter to the Biblical Apostolate worldwide prepared the place, the materials and most of all the food for the whole group. It was the second time that the CBF-SEA held the meeting at the SVD Mission House with Fr. Dante the Superior Delegatus who impressively prepared everything that we need… to our friend, our dear collaborator Fr. Dante… our heartfelt gratitude. We salute your commendable hospitality!